Searching for a way to further raise awareness and engage agents, customers, potential clients and the media in the region, Hill+Knowlton Latin America researched new wellness opportunities that would be attractive to Bupa’s target audience. The team identified the opportunity to partner with PGA Tour Latinoamérica and created the #BupaChallenge. 2017 marked the first pilot year for the initiative. 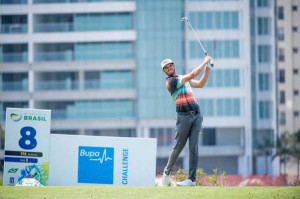 Part of the regional PGA Tour Latinoamérica, it took place in four locations where Bupa has a considerable business presence: Antigua, Guatemala; Quito, Ecuador; Puerto Plata, Dominican Republic and Rio de Janeiro. The challenge rewards the player with the best overall performance through the four events with a cash price, along with the title of Bupa Challenge Champion. Hill+Knowlton Latin America was tasked with developing a strategy tailored to Buba Global’s audience. The first challenge was to develop a well-rounded social media strategy featuring Bupa’s core values and key messages, that went hand-in-hand with an exclusive calendar of events throughout Latin America. With the launch of the brand’s ‘Círculo de Bienestar® Bupa’ channels on Facebook, Twitter and Instagram in 2017, Hill+Knowlton developed content ranging from coverage of sporting events and wellness tips, to curated posts on how to improve overall health and on living the ‘Bupa lifestyle’ #VidaBupa. The content was well-received by the target audience and quickly developed a strong organic following. 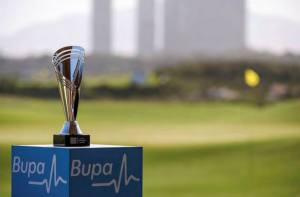 The Bupa Challenge lead the conversation as the top-performing posts during the events. With an overall reach of 403.4M, the Bupa Challenge was by far the most engaged topic on Bupa’s channels in 2017. Engaging Bupa agents was a key goal for the initiative. Agents were invited to participate in the Pro-Am for each tournament, alongside professional players from the Tour and their own chosen teams (which consisted of potential clients and VIP guests of their choosing). Through the initiative and sponsorship negotiation, the H+K LatAm team helped provide an intimate setting in each event where Bupa sales associates and executives had the opportunity to partake in meaningful conversations with agents and potential clients. In turn, the event provided an added opportunity for networking, engaging prospective policyholders, and cultivating relationships with strategic partners. The team also cultivated key relationships through traditional and non-traditional media relations. With features in Latin-American publications such as El Listín Diario, O Globo, America Economia, and El Comercio, among many others, the Bupa Challenge was published in over 180 publications throughout 2017 and received over 50 million impressions, generating over $450K in earned media value. Another method identified by the team to promote the ‘Bupa lifestyle’ was securing a partnership with equestrian events in Latin America. The team identified that the target audience for these events was perfectly matched to the Bupa Global product. This led to a new partnership between Bupa Global and Otomi Club and Residences to present the first-ever ‘Gran Premio Bupa Otomi’ in San Miguel de Allende, Mexico. The horse-back jumping tournament was held from Sept. 27 – Oct. 1 and Oct. 4 – Oct. 8 and hosted over 500 riders from all over Mexico, Central/South/North America, and Europe, for two consecutive weekends of equestrian sports where the winners were awarded over 3,640,000.00 MN in prizes. Thanks to the team, the tournament featured in prominent publications such as Caras, Style and Revista Turismo. As an additional piece of activity necessitated by the unfortunate natural disasters that hit the country in the days prior to the event, the H+K team suggested Bupa invite a handful of local lifestyle influencers to be their exclusive guests during one of the weekends. This secured media coverage at a time where all other media outlets were focused on covering the earthquake and its aftermath. The influencers were treated to a weekend in beautiful San Miguel de Allende, named Travel + Leisure’s “Best City in the World” in 2017, and were Bupa´s VIP guests at the brand´s lounge in Otomi. This allowed Bupa Global to reach a new audience of potential customers within the Mexican market, especially the millennial target group, one that has proven more challenging to relate to for the brand. The overall outcome of the Bupa Challenge and Gran Premio Bupa Otomí partnerships helped further develop lasting relationships between H+K and Bupa Global, as well as with national and local media outlets, and ultimately to further grow the brand’s digital presence and footprint within the BGLA region. Both partnerships have verbal commitment from the brand to continue in 2018.